Our product range includes a wide range of biomass briquetting press, biomass briquette machine, biomass briquetting machine, biomass briquetting system and biomass briquetting plant. 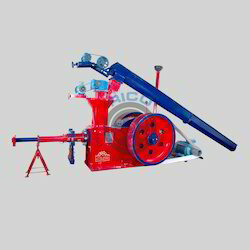 The biomass briquetting press technology is a way for the greener tomorrow. This technology is useful for creating the clean energy product known as biomass briquettes from the crop-waste and residues which is of low cost. Hence, the Biomass Briquetting Press is the cost-effective manufacturing technology for saving our global environmental energy resources. As bio fuel briquettes which are also known as agro-waste briquettes. It can be used for energy fuel; all the fossil fuels and wood resources are replaced by briquettes. It also known as Renewable Energy Briquetting Plant, Wood Briquetting Plant, Forestry Waste Briquetting Press, Coffee Husk Briquetting Plants, Jute Briquetting Plants, Industrial Briquetting Machines, Agriculture Waste Biomass Briquetting Plants, Forestry Waste Biomass Briquetting Plants, Forestry Waste Recycling Plant, Rice Husk Briquetting Plants, Bio Coal Briquetting Plant, Agro Waste Recycling Plant, Agro Waste Briquetting Press, Briquetting Equipment, Wood Briquetting Equipment etc ..Hence, by using biomass briquettes we can protect our natural resources. Also, the ash free burning of white coal briquettes is helpful to preserve environment from the pollution and global warming. 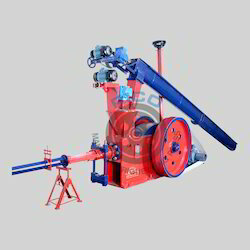 We exports the Biomass Briquetting Machine overall the world. As the biomass briquetting is agricultural based manufacturing technology, our most of briquetting plant is delivered in the developing nations and agricultural based countries as there are plenty of availability of the raw materials. Biomass Briquetting System in India is becoming more helpful to the environment saving committee as the briquetting technology reduces the waste management efforts. So, the various governments support this eco-friendly plant project by providing subsidies to the briquetting plant manufacturer. Our experience as a Biomass Briquetting System Manufacturer since last 22 years, place us at top position in the market of briquetting technology. We manufacture the superior quality biomass briquetting system according to our client’s specifications. Behind manufacturing of the Biomass Briquetting Plant our prime aim is to achieve global leadership in offering value added high quality solutions to our customers in proper utilization of the biomass waste. The biomass briquetting plant is the eco-friendly green technology that converts the waste – residues in to the valuable energy fuel. By combining technology expertise, process focus, domain skills and a commitment to long terms customer relationships, we become the expertise biomass briquetting plant manufacturer in Rajkot.